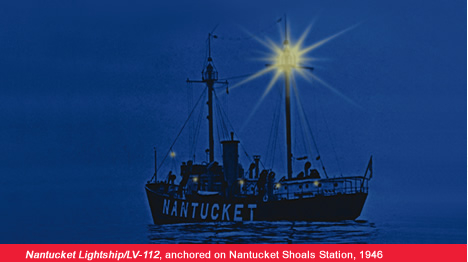 "This vessel possesses national significance in commemorating the history of the United States of America." Designated in 1989 by the National Park Service, U.S. Department of the Interior. 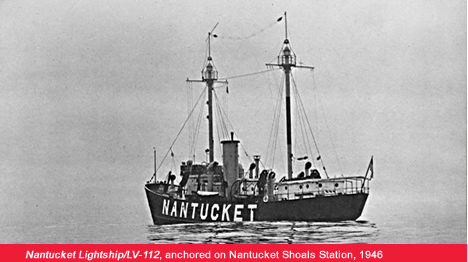 For 39 years, Nantucket Lightship / LV-112 guided transoceanic shipping to and from U.S. east coast ports, through some of the most treacherous shipping lanes in the world. She was the first symbol of America encountered by thousands of immigrants. Many famous vessels such as the SS United States, the Queen Mary, Normandie and naval cargo vessels depended on her as a navigational aid. 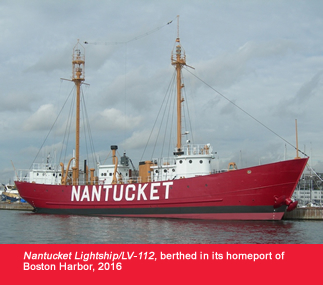 Now it’s our turn to save and preserve this unique historic and venerable vessel. With the help of the general public—who are responding with gifts of all sizes—a fundraising effort is underway to restore LV-112 back to her former glory and reopen her as a museum and educational center for everyone to forever enjoy.